The University of Virginia Library and Jefferson-Madison Regional Library (JMRL) Central branch are preparing to celebrate Home Movie Day 2018 on Saturday, October 20. Home Movie Day events are held worldwide every year to celebrate the stories and memories captured by amateur film, as well as to advocate for film care and preservation. These events provide the opportunity for individuals and families to see and share their own home movies with an audience of their community. The Library will present a curated screening of film footage submitted by the community, along with selections from home movie found in the Albert and Shirley Small Special Collections Library. This screening is free and open to the public and will be held on October 20th from 5-7 pm at the Vinegar Hill Theatre at 220 W Market St, Charlottesville. Do you have home movies that could use some care? 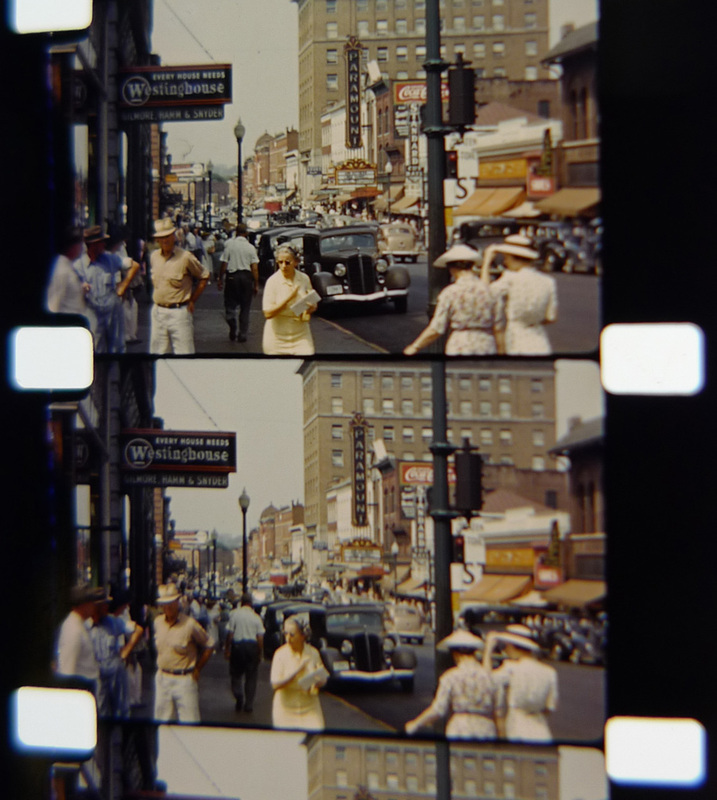 From now through October 14, a free digitization drop-off service will be offered for up to 3 reels of home movies (16mm, 8mm, or Super-8 motion picture film only). Submitted films will be cleaned and digitized (condition permitting) by preservation professionals at the Library and returned to the patron as a digital file. Any film footage submitted may be used as part of the October 20th screening event, but will not otherwise be retained. This entry was posted in Announcement, Event, Featured Resource and tagged collaboration, Crozet Library, film, Home Movie Day, JMRL, library resource, movies, Northside Library, Preservation by Jeff. Bookmark the permalink.